Spirulina - How's That For a Name? If you have no idea what Spirulina is, don't worry, you are not alone. I had no clue what it was either, and now it makes it's way into my life (and smoothies) more often. Some major benefits that are packed into this dark green powder include immune-boosting properties, defense against aging and free radicals and providing a serious dose of many vitamins and minerals. With cold and flu season on the foreseeable horizon, I plan to sneak this stuff into everything I can. This is a decent sized package with 16 ounces of Spirulina powder. You only use about a tablespoon when you are mixing it in with juices smoothies or meals/snacks, so an entire bag could last at least a month (when used multiple times per day). It's so easy to throw it into my smoothies, and the kids love how their morning smoothies have gone from a light pink color to GREEN! I love it because it packs a nutritional punch without changing the flavor or texture of what it is added to. And it is USDA certified organic! I love seeing that little stamp on anything that ends up in my pantry. This Sari Foods Organic Spirulina Powder is so simple to incorporate into your daily routine. As I said, I most frequently use it in smoothies, however, for those that do not like smoothies, the purchase of this item will also get you a free e-book of Spirulina recipes which include hummus, guacamole, pasta dishes and seasonings! Great to have if you are wanting to incorporate it into many different parts of your day. If you are looking to add more vitamins and minerals to your diet with little effort on your part, there is no easier way than tossing the Sari Foods Organic Spirulina Powder on, well, just about anything! For the ease and versatility, this gets 10 stars from us! If you wish to purchase your own bag of Sari Foods Spirulina Powder, you may do so on Amazon HERE. Next, connect with them through their website, Facebook and Twitter. Does it ever feel like the few minutes it takes to blow dry your hair is the equivalent to an eternity? I swear that sometimes it just drags on forever. Not to mention, it isn't actually GOOD for your hair to destroy it with heat and styling day after day. I don't mind it as much once the weather starts cooling, but during the heat of the Summer, it is almost painful to even think about blow-drying my hair. 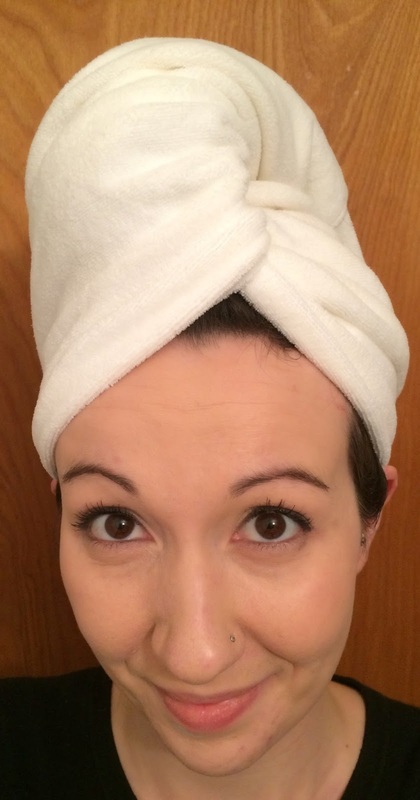 One item I have found that makes you feel like you are at a spa, while also absorbing more moisture than a traditional hair towel is the Luxe Beauty Essentials Microfiber Hair Towel. This towel feels heavenly. It's SO fluffy (*said in the voice of Agnes from Despicable Me*). I am such a sucker to my senses. If it doesn't look, feel and smell right, it's not for me! 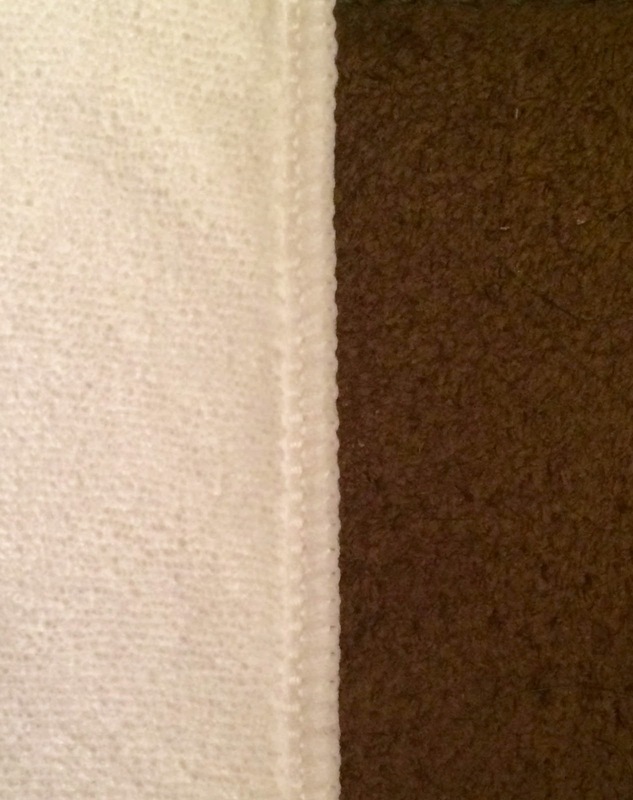 I love that this towel is white for ease of cleaning - hello bleach! I remember reading a tip on Pinterest a long time ago that I never forgot. It said to always buy towels, wash cloths, etc... especially those used for guests in your home in white because you can bleach them so they will always look vibrant, new and clean. It is a nice size too (as seen in the above picture - 19'' x 39''). Microfiber is more absorbent than cotton, and this towel is constructed with double-sided brushed terry which contributes to it's plush qualities. Here is an up-close view of the towel, so you can see the texture a little better. I have super long hair, so in order for this towel to be long enough, I have to wrap it from the bottom versus flipping my head over and doing it that way. My hair is also kind of on the thicker size - not coarse thick, but full thick - let's put it this way, I don't need to use volume-enhancing products. I found that this slightly decreased the amount of time I spent blow-drying my hair. Typically, it takes me about 5 or 6 minutes. After wearing the Luxe Beauty Essentials Microfiber Hair Towel, and then gently towel drying with it, it takes about 4 minutes. While this isn't life-changing, I think my hair benefits from having less damaging heat on it, which saves it's healthiness in the long run. If you too wish to bring such luxury to your hair routine, run HERE to grab yours for $17.97 (it is normally $21.97 and Amazon changes prices frequently, so it may not stay this price for any significant amount of time). Searching for the perfect Kitchen towel often results in settling for whatever is cheapest and readily available. For me, it took trying a truly versatile Microfiber Kitchen Towel to realize that there are effective and affordable options on the market for good products. See, we always have towels that hang off of the handle on the oven. They each have their own uses around the kitchen which include: drying hands, wiping off kitchen gunk from hands, wiping down table and counter surfaces and/or drying dishes. Some of these tasks can be performed by paper towels, but in an effort to decrease our environmental footprint, finding a reusable option tends to be a priority. The Luxe Home Essentials Microfiber Kitchen Dish Towels have quickly become a favorite, and have proven their role in our house. They come in a generous 3-pack and are ready for use upon arrival (after you wash them of course). They are white, waffle-knit and 15'' x 25'' in size. They are made of Microfiber, which is tougher than cotton and make them more durable and much more absorbent - EXACTLY what you need in the kitchen! These babies can save you time and effort so that you can get to doing the things you enjoy more than cleaning up in the kitchen (which should be just about everything). Plus, they carry a satisfaction guarantee! There they are! All lined up, nice and pretty! We have had a great experience using the Luxe Home Essentials Microfiber Kitchen Dish Towels. They are more than just dish towels though. From drying hands, to cleaning counter tops to touching up little messes around the kitchen, these things are great! I love the waffle-knit design, and how absorbent they are - Microfiber can hold up to 10 times it's weight in water. Plus, because they are white they go with everything and can easily be bleached in the wash to keep their fresh look. Additionally, they are reusable, meaning they eliminate an overuse of paper products to clean up small messes or wipe off dishes or hands. Again, allowing us to decrease our carbon footprint and "green" our routine a little more. 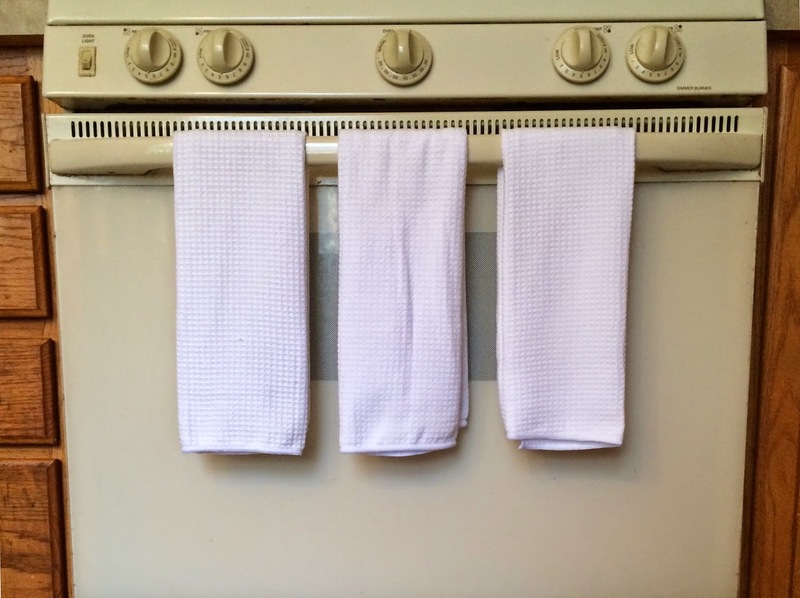 The Luxe Home Essentials Microfiber Kitchen Dish Towels have been stupendous, and heavily used in this house, leading me to give them 10 stars - We love them! If you are on the market for a new kitchen towel, I highly recommend these, and you can grab the 3-pack HERE for $11.97 (please note that this seems to be a sale price, and I do not know how long that will last as prices on Amazon fluctuate often - the list price is $19.99). I am still, believe it or not, in search of a skincare routine that meets each and every one of my skin's needs, regardless of how finicky it can be. I also really try to pay attention to the ingredients I am putting on my skin as well. Our skin is our largest organ, and what we use on it, goes into our body too. 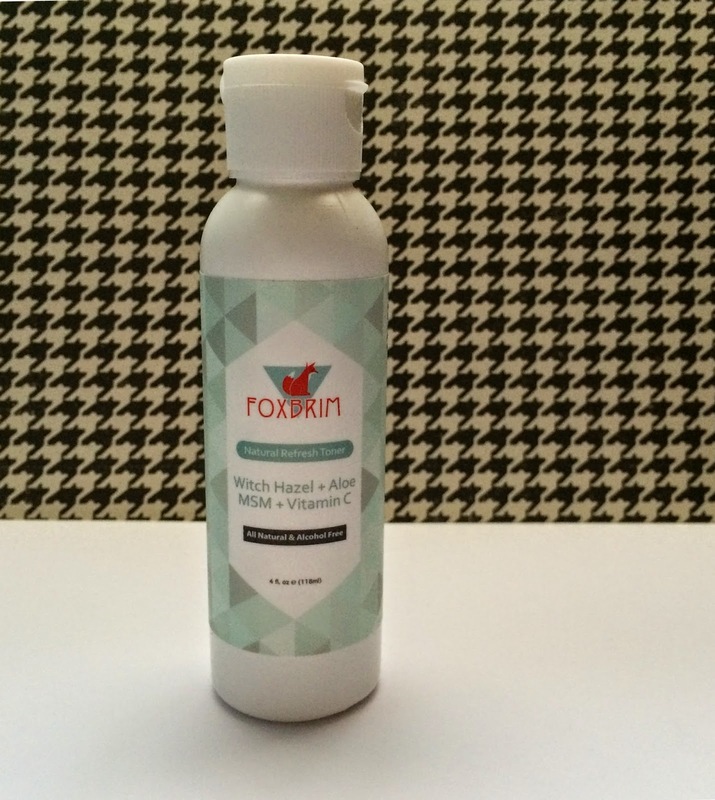 I am a big fan of Foxbrim, and really enjoy their Natural Refresh Toner. I have been using plain Witch Hazel as a toner for a long while now. I found so many other toners to be overly drying, as alcohol was one of their main ingredients. Making the switch to Foxbrim's Natural Refresh Toner was easy because the ingredients are all-natural and gentle - this formula is alcohol free so you do not have to worry about the harshness that is characteristic of many other toners. In fact, the ingredient list is lengthy, but only because it has all of the scientific names for the natural ingredients that we can actually identify outside of a laboratory. I use this toner by applying it to a cotton ball, and then evenly distributing it over my face (you can also extend the coverage to your neck as well). 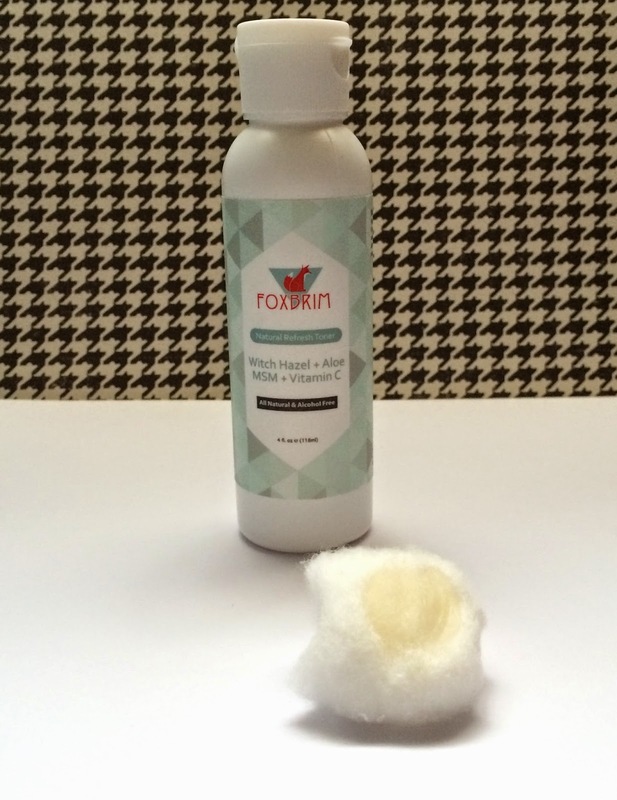 I have seen that the newer bottles have a spray top, which would eliminate the need for the cotton ball altogether. This toner is refreshing, especially in scent - to me, it smells like witch hazel and aloe. I actually like it because sometimes the witch hazel scent can be a bit much, especially for someone who has never used it before. It seems to be balanced out by the other ingredients and smells very pleasant. Once the toner absorbs there is no detection of the scent anyway. I find that this toner does a great job at cleaning up what your cleanser misses and tightening up pores. I remember that I used it once and did not follow through with the rest of my regimen just to see how the toner performed on it's own, and definitely felt a tightening in my skin, and could see, over time, a reduction in my pore size. The number of blackheads I experience in my T-zone area has decreased significantly since using this toner. If you are looking for a brand and a line of products that promises to use no parabens, no additives, no added fragrances AND is cruelty free, Foxbrim is where it's at! If you wish to try a new toner, I highly recommend the Foxbrim Natural Refresh Toner, as it works for all skin types, and you can get it HERE. We all strive to look our best, right? I wish that the world was not so over-focused on appearances, but unfortunately it is. As an undergraduate student in Psychology, I read several studies about what "we" (meaning the represented population) view as attractive. Not to mention the role that the media plays in shaping whom and what we find attractive. Either way, one thing that is most certainly not on the "attractive list" would be: cellulite! It is one of those things that just about everyone has, and probably the one thing they are the most self-conscious about. 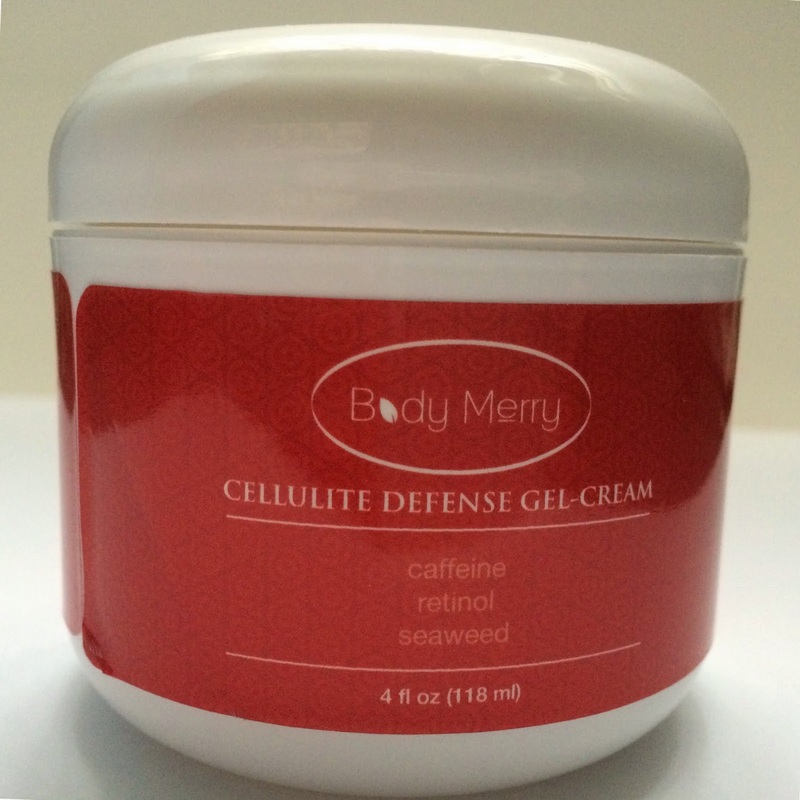 If you are someone who wishes to decrease the appearance of cellulite using all natural ingredients by adding one simple step to your health and fitness routine, I believe that Body Merry Cellulite Defense Gel-Cream is your answer. I use this cream at least once per day, and twice when I remember on my upper thighs. For the most part, I am slender, but I do experience cellulite in that area. I will tell you that the scent is strong in the minty department. If you are sensitive to strong scents or caffeine, then this is not for you. Please note that the scent does not linger, so you only need to deal with it while you are applying it. The cream itself literally looks like vanilla pudding. It is thick and has the consistency of a gel-lotion - something that goes on smooth and clear. It also leaves a cooling sensation on your skin after you have applied it, so you know it is absorbing into your skin. The caffeine, retinol and THREE types of seaweed (Algae Extract, Kelp and Dulse) are the first things that work hard awakening and tightening the skin you are looking to improve. On top of those, there are a handful of organic ingredients including: Cayenne, Aloe, Coconut Oil and Almond Oil. And lastly, Methylsulfonylmethane (MSM), Japanese Green Tea Leaf Extract, Wildcrafted Horsetail, Apricot Kernel Oil and Vitamin E assist in getting your dimpled skin to tighten and firm, while providing nourishment to prevent drying. As with ANY health or beauty product, prolonged use is your best bet for seeing results. The Body Merry Cellulite Defense Gel-Cream will deliver the best results if it is used in addition to other measures you are taking to address the cellulite on your body, including eating a healthy diet, and exercising regularly. If you are looking for an overnight miracle cure, continue your search. If you would like t learn more about Body Merry and the amazing line of products that they offer (which are made with natural and organic ingredients, cruelty-free AND made in the USA), check out their website HERE. From there, you can purchase the Cellulite Defense Gel-Cream HERE for $19.99 (this is a sale price - it is normally $79.95 - Grab it now for that price!). I think we are all aware of the hazards of plastic use in our day-to-day life, from the shower curtain in your shower to the plastic storage containers you store your food in, to the water bottles you drink out of. While many plastics are BPA-free these days, this does not mean that they are free of many other harmful chemicals. I am slowly but surely ridding my life of plastic, and every step in the right direction counts in my book. Our latest transition was from plastic straws to Eco at Heart Stainless Steel Straws. I love the box that these straws come in. It slides open, and I have kept it to store the straws when they are not in use, reducing our (and by our I mean my children's) opportunity to lose them. They come in a pack of 5, making it perfect for our family of four. I also love the cleaner that came with it to help keep the straws clean and free of build-up. One of my biggest pet peeves about plastic straws is that they are so difficult to clean, and I just don't have the stomach to imagine what amoebas are gaining access to my body via an unintentionally dirty straw. 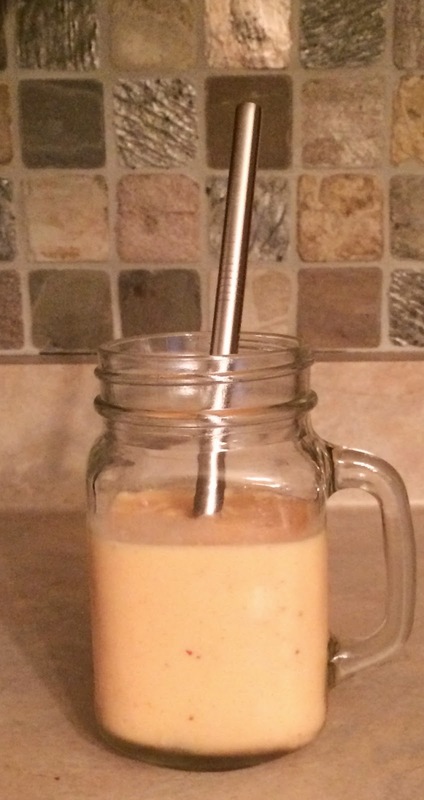 The children absolutely adore these straws, and they are the perfect companion to our morning smoothies (and my son uses them for his root beer floats)! If you too would like to make baby steps in the direction of a less plastic dependent household, this is the perfect first step! They are currently on Amazon for $14.97. Amazon prices do change, so be aware that it may not be that price forever. That works out to be less than $3 per straw! Be sure to check out the Eco at Heart website and learn more about the company behind such a wonderful product! That is right people! An Accessorise Your Life 6ft long USB charge/Sync Cord for my iPhone. I can charge my phone and actually still use it without worrying about ripping the cord out of the wall or dropping it. What a concept!!!! This thing comes to my rescue each and every day. Many times I just plug it into the laptop and let it charge while I am on the computer, and it is so much more functional than the factory one that the phone comes with. I have yet to run into any problems with it. It charges fully and quickly, is of quality structure and material, and is Apple Certified, so you know it isn't going to mess up your products. It makes charging simple and easy to do anywhere - you could even charge up in the car, and allow someone in the back seat to use the product! This charger can also be used to sync your Apple product to say, your computer, to transfer files, pictures, music....whatever! It can also be used across products for iPod, iPhones and iPads, so be sure to grab a few so everyone isn't hogging the long cord in your house. If you wish to charge your iPhone, iPad and/or iPod and still use it, run HERE to purchase your Accessorise Your Life cable. It is currently $16.99, saving you 41%. I love when I get reviews that I get to share with other members of my family, including my fur child, Remi. He is our horse of a lab, and because he will eat anything (except cucumbers? ), he is easy to please! Like most labs, he is on the constant look-out for food, so I try to give him treats a couple of times per day so that he is occupied and held over between his meals - It must be difficult to only eat twice per day... I know I couldn't do that. We recently reviewed a package of Best for my Pets Bully Sticks, and they were a hit! The Bully Sticks themselves are thin and hard, which make me happy because Remi could go through an entire bag of soft treats in a matter of seconds. When I give my dog a treat I want it to keep him occupied for more than 30 seconds, so he isn't back to scouring the floors for something remotely edible. The sticks are 6 inches long, making them a great size for any breed of dog. It could probably keep tiny dogs busy for a LONG, LONG time. They are made from 100% natural, pure (free range cattle) beef, are gluten-free, grain-free, 100% digestible, low in fat and high in protein. Because of this, I NEVER feel guilty when the 2 year old decides that Remi needs a treat.... AGAIN! Plus, due to their chewy texture, they work to keep my pups teeth clean and strong as he snacks. Maintaining great oral health in your dog is extremely important! The bag itself comes with a very generous number of the Bully Sticks. I was so surprised when we opened it to see so many. I wish I would have counted them before the little one decided to make it her daily task to break into the cupboard and give the dog a treat, but there had to be at least 20 in there, maybe more! My dog LOVES these. He gets excited when anyone goes to the cupboard where he knows they are stores, and will even respond to commands immediately (I don't even have to finish the command and he is doing it). And I don't have to feel guilty about it because they are made from trustworthy, natural ingredients that are good for him. If these look like something your fur-family members would enjoy, you can purchase them here, for a discounted price of $28.90 for an 8 ounce package. If you are interested in learning more about Best for my Pets, you can learn more at their website, and be sure to follow them on Facebook, Twitter and Pinterest.